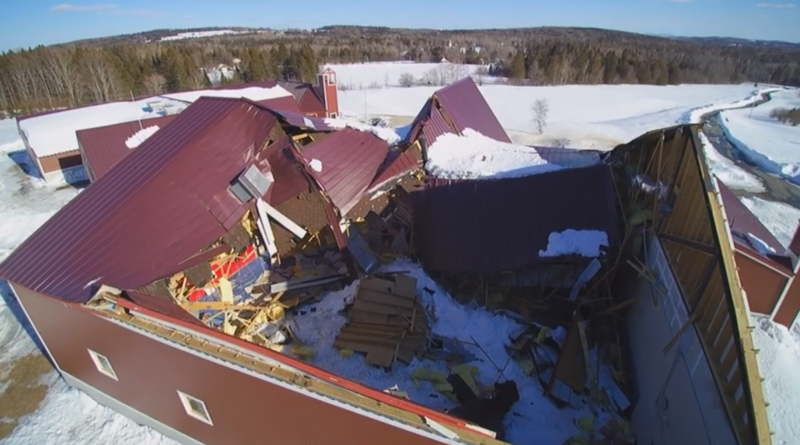 A recent piece of drone footage shows the aftermath of the roof collapse at the former New Sweden School. On June 14, 2017 the town voted to close the school which was subsequently sold. On March 6, 2019 the roof collapsed under excessive snow weight. Many in the community feel this is too bad given that the building is not very old and many had hopes it would be put back in use.